1. The temperature drops, leaving me grumpy. 2. The leaves change colour and fall everywhere making it impossible to see where the dog poop is hiding in the back yard. 3. Tartan is making its annual appearance again and you’re figuring out how to wear and style plaid with your wardrobe. This year, in a moment of weakness brilliance, I bought a pair of plaid leggings. What in God’s name was I doing at the age of 48 buying a pair of plaid leggings? 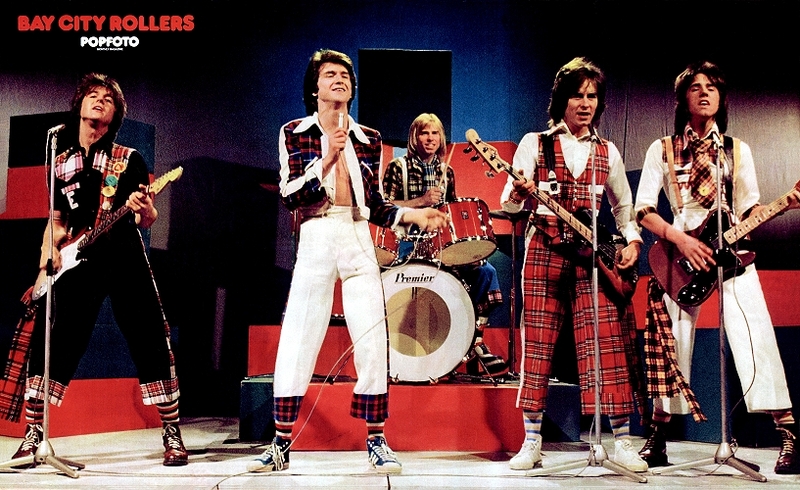 Trying to be an groupie for the Bay City Rollers? Those dudes knew how to style plaid! I used to have the striped socks and would roll up my pant legs to be short. For those of you too young to know what the heck I’m writing about…check it out here. Prepare to be AMAZED. Okay I will admit at the age of nine it took very little nothing to amaze me. Things were different back then. We couldn’t tell who was calling until we answered the phone, the Dewey Decimal System was considered “high tech”, and women did not shave their nether regions. It was a whole other world people! But plaid has always been there and it has always been in style in some shape or form. I’m ashamed to say where I bought these pants and the sweater…Forever 21 (I hate myself). I had searched high and low for a sweater like this at thrift stores and consignment stores, but here is something I discovered, it isn’t easy to find nice sweaters at thrift or consignment. Most of them are pilled, stretched out, mis shaped, or faded. I guess that is because most people are throwing their sweaters into the regular wash (instead of hand washing) and drying them in the dryer instead of air drying flat. #howtoruinyoursweatersnoshit. 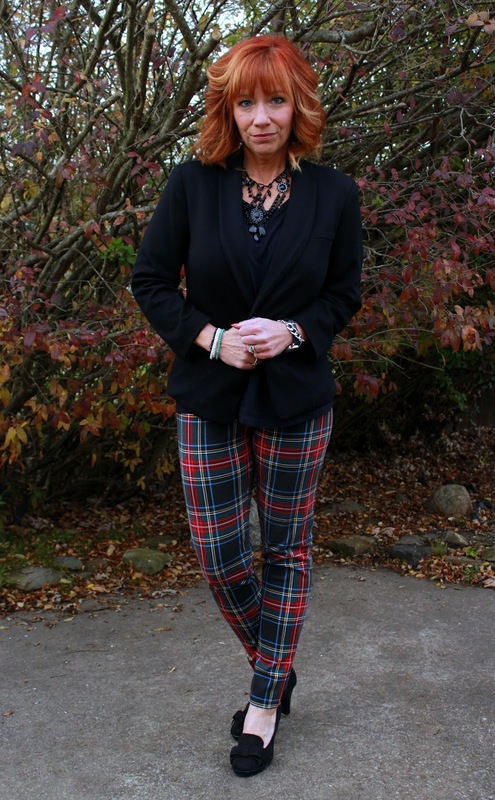 The plaid pants, well they happened to be in the store and I tried them on as a lark, telling myself that they would look hideous on my short stubby legs. I was shocked when they didn’t look half bad. Even some of the “even-less-than-21-year-old” staff members complimented me on them. Maybe they were just feeling sorry for the old gal trying on plaid leggings, but I didn’t care. At this age compliments are akin to winning the lottery and I took it as a sign, ignored my inner voice shouting at me that I was killing the world by purchasing fast fashion, and bought them. I’ve stayed away from all fast fashion for almost 2 years now, I was bound to have a relapse sometime. I will just do what every addict does, regroup, forgive myself and try harder next time. Throughout the years plaid has a bit of a dual personality, both classic and rebellious depending on how you style it and how bold of a plaid print you choose to wear. 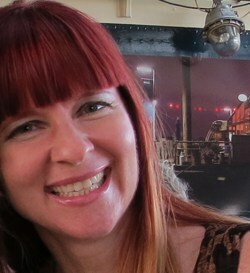 Debbie from Fashion Fairy Dust who loves plaid just as much as I do and also happens to be my hair twin. Although I don’t own a plaid scarf I love this idea and how they have styled plaid here. 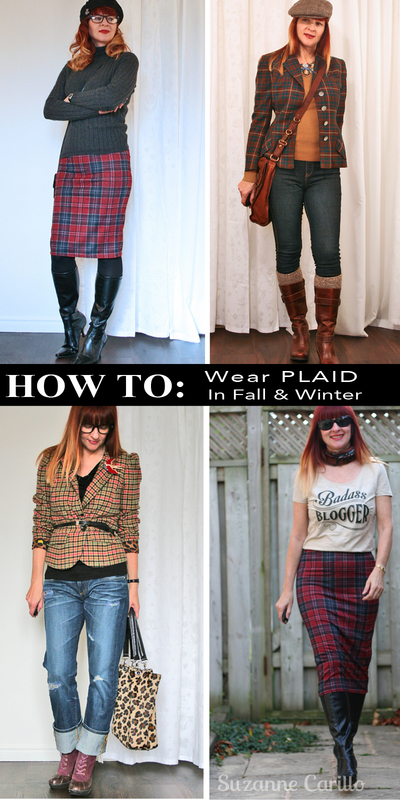 What is your favourite way to style plaid in fall/winter? Can I ask a favour? 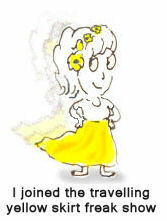 Can you please make sure to update my new blog address in your sidebar links? Thanks a million! Also, don’t forget to enter my contest to win one of my handmade necklaces and all of my blogger greetings cards. You are the Plaid Wizard! Seriously, plaid can so easily skew frumpy but you manage to make it look good in every outfit. Love all of the ways you have styled plaids; the cape is my fav, but I am a cape girl. I cop to shopping at F21, also, if it fit, it fits. Worse, I just ordered some clothing items from a company called Banggood. Oh my god, my life is over. But I needed brogues in a size 5, and I could not find them anywhere….. I admired them on a blogger who is decades younger than I. So save your ridicule and pas it right along to me..
And i love your conversational style of writing! PS. i have limited luck with sweaters in any store, i only buy them when they are folded so the hangers do not make those weird groves ! I wondered if you’ve bought any good thrifted/consignment sweaters since you are a bit of a wizard at shopping second hand. I know, when they hang a sweater it gives the impression of shoulder pads that must have been removed, or tiny alien wings. Either way, not attractive. If I ever come across some brogues in a size 5 while thrifting I’ll pick them up for you. I have worn them and was wondering why it took me so long to discovered patterned leggings. So comfy! As for plaid, I’ve caught the sickness and have been mad for plaid this season like I do every fall. Love all the look back of your gorgeous plaid collection! It was so strange that I looked in so many other stores and no one had any decent sweaters, I really needed a wool sweater because it is so cold here, everyone else seemed to have cotton or acrylic. Forever 21 was the only one with a wool. I agree…I think leggings can be addictive. It feels like you are “pants free”. I can’t wait to see how you style those leggings! Plaid looks great on you, I’ve been pretty obsessed with it myself lately!! I think the leggings are so cute and I love how you styled them, it’s casual but chic. Love your cape and the tailored vintage jacket more each time I see them. I only own a solitary 1970s maxi skirt in tartan as I tend to be attracted to swirly extravagant patterns rather than graphic ones. Well it is kind of a relief not everyone has given into that shave everywhere craze. Over here it has become the “standard”. Even for lots of guys, which I’m grateful for because at least then they know what we have to suffer through, although I must admit I still don’t think it is as hard for them as it is for us females. You look great in your leggings! And I like each of your plaid stylings; you’re rockin’ that plaid!!! Great post Suzanne and I agree those plaid leggings look fabulous on you. I especially like look with long jacket. So nice! I’m going to enjoy my plaid scarf a bit more in December when I’m in The Netherlands again! I *love* these leggings on you! Not only are they super-stylish, they emphasize your incredibly beautiful legs. You’ve got shape where many have sticks. And I respect your courage to shop in this store. As a 57-year old man who’s done the same, I know how uncomfortable it can be. Yet the ultimate goal is to find clothes that flatter us and you’ve done that. Congrats on your success. I love your humour! We do have similar senses of humour, mine comes out once in awhile. I agree, I get grumpy too when it is cold out. and the dog poop one. hehe. I think you rock the plaid, and hey, 48 you look great wear what you want!! I love the leggings and the oversized sweater on you , love the vintage looks as well. Those leggings look great on you! And that sweater is perfect. I would never, ever guess they were from Forever 21 and now I want those pants! You look fabulous! And also, I never, ever thought about dog poop hiding in leaves before. What a nightmare! Do you still own that amazing, marvelous plaid cape? It is the coolest! I am so jealous! I love plaid, too. I do not have nearly enough for my greedy heart! Oh yes I still have that cape : P I will let you borrow it when we finally meet-up. LOL… I am 49 and bought green and blue plaid leggings… We too are allowed to join in the Mad about Plaid trend! I think I must be one of the few bloggers who doesn’t much care for tartan… But we can still be friends, right? Of course you are rocking the leggings, and all your versions of tartan wear, but the couple of pieces I had, I’ve sold. Tweedy checked fabrics, I can do, but I’m not a lover of the more traditionally coloured tartans. I had totally forgotten they were from the UK! LOL And we did not get the TV show over here. At least that I knew of. They were pretty popular in Canada for a couple of years. Oh…I hate it when I accidentally ruin something in the dryer. It happens. Then basically the only one that can wear it is the dog. The cool thing about that vintage cape? It is reversible. You are all updated on my sidebar, Gorgeous … thanks for the reminder. Great new look … pretty much genius! Well, of course you are wearing plaid leggings! Why would you not? You really are a plaid kind of girl with all the necessary leg and slimness and edgy elegance that it takes to wear them! You look very sleek, and the coat just makes it. I’m inspired, but will have to wear plaid as the window pane print Pixie Pants that I’ve been wanting … and a longer sweater. And here’s the thing about those of us that can’t do much vintage … there’s gotta be a new purchase of every garment that become vintage or thrifted or consignment, yes? So we should all remember to “curate” our wardrobes for those who will own the pieces later! See how you inspire such good ideas? I fully admit to shrinking some too-big sweaters and using them as cropped! The sweater I’m wearing is much longer in the back. I should have gotten a shot of it. It covers all of the bum area. 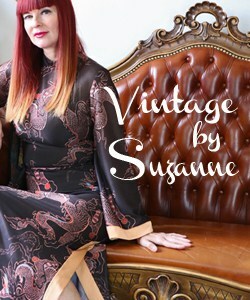 Suzanne, Love the new look! I so need to update my look (maybe that will be my new years goal). Now for the plaid leggings . . . WAY TO GO! And I can bet most of those 21 year old and younger sales girls were so wishing they could sport them half as well as you do. We both know age doesn’t matter, its all in the confidence of wearing what you feel comfortable wearing. And your library of plaid, seriously amazing. I’m with you on this level of Fall and Plaid, I pulled mine out the first cold day. My favorite this year is actually a new plaid scarf, but dang, I might just need to try some leggings. I have my eye on an oversized super soft flannel one at Madewell, but so far I’m being way good. I must say, I would copy that picture in a heart beat of the black tulle skirt, definitely on the hunt for some of those tights. If I looked half as good as you do in those leggings, I would have snatched them up too. 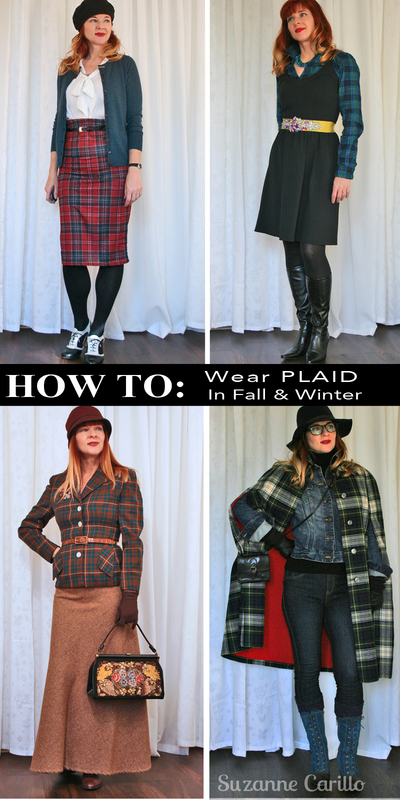 You really must remedy the “no plaid scarves” though – so many to choose from! a girl (whatever her age) can have too many plaid!! and you look fabulous in your leggings!! lovely tartán leggings, now I think i need some!! 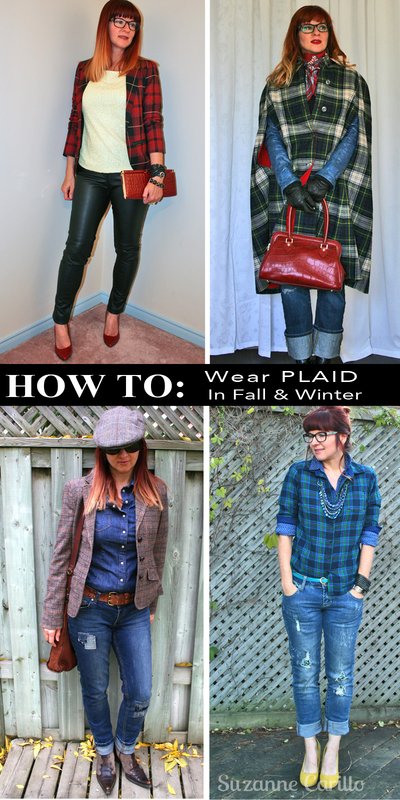 and love your inspiring selection of “how to wear plaid”, awesome! PS…Sorry this comment is so crazy over-punctuated, but I did so love this entire post! LOL : ) Sad when we both know the Bay City Rollers! ha ha. I agree…we need to figure out something. I was hoping we might have managed a blogger meet-up this summer and then with the rising US dollar and the falling Canadian dollar it didn’t happen. Keep me in mind if you think of something hair twin. I looooooove the plaid leggings with the long red jacket. It’s like that Cake song. “I like a girl with some plaid pants and a loooooooong jacket!” I hadn’t worn plaid until this year. Probably because Kyle wears enough of it for the both of us. It started with a black and blue plaid mini skirt from WetSeal+. Then I picked up those two clan tartan scarves in Scotland. Now I’m eyeing red and black plaid midi skirts. I feel like our Scotland travels inspired me to try tartan. How stereotypical, I know. But now that pattern reminds me of our trip, and I’ll live vicariously through a plaid skirt anytime if it takes me back to the rolling highlands! I love it that you bought a plaid legging. And I think you look great in them. The grey sweater is a must so don’t feel guilty. The legging needed this to tone down a bit. Your hair twin looks great too. When I saw the picture of Linda Evangeliste, I remembered I bought these red plaid tights 9 years ago (don’t wear them anymore). I still have a funny picture of myself wearing them. But I am not very good at plaid. My blue and pink plaid shirt is just hanging in the closet and only worn in spring/summer on jeans and that is it. No idea how to combine it differently. Both the sweater and the plaid jeggings look great in this look. Really! And that’s something, coming from a person that dislikes plaid. I mean, I would never ever go for it myself. It’s just not my thing. But I can honestly say, that plaid looks brilliant on you and you sure know how to wear and style it. I kid you not; you’re the Plaid Queen, girl!